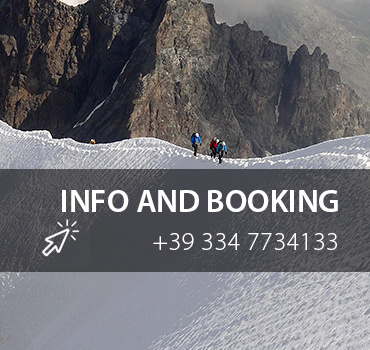 Known as the best and more esthetic snow ridge in the Alps, the Biancograt is the dream of many mountaineers. Graceful, esthetic and aerial this ridge take to the peak of Pizzo Bernina, and will gift emotions and memories unforgettable to who will climb it. Never to be underestimated, this route tests training, endurance and concentration of mountaineers. 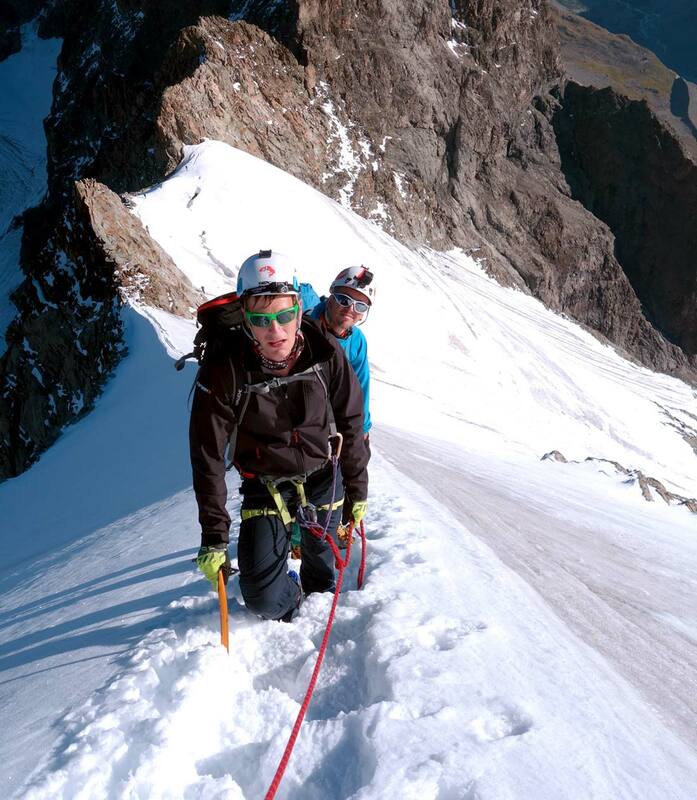 Some times very exposed, with climbing steps up to III+ requires self-confidence in walking progression on snowy ground, use of crampons and rope. From the town of Pontresina, in Switzerland, we get back the long Roseg valley, with an amazing horse-drawn carriage saving 7km by foot to reach the Roseg hotel (1999m). In a couple of hours walk we reach now the Tsherva hut where we spend the night. The descent is along the normal route, on the Italian side of the Mountain, with a sequence of abseiling take to the Morterasch glacier at the end of whom we find the train station taking back to Pontresina. Not included in the fee: car transfer, hut’s half board (more or less 50€ each), guide expenses and personal expenses, train and horse-drawn carriage and all not specified in "included". Attrezzatura fornita da Mountime: Casco, imbrago, piccozza e ramponi.